Description This La Grange, Georgia hotel has an indoor pool, free internet access, non-smoking guest rooms and free breakfast. This hotel is also pet friendly. 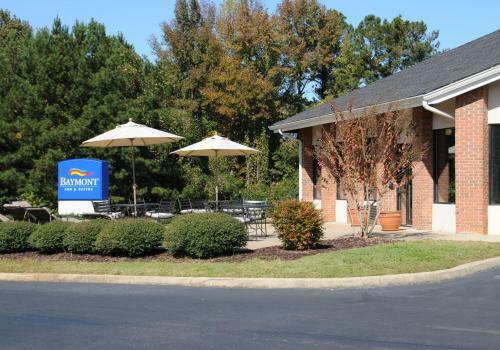 An indoor pool and hot tub free breakfast and well-equipped rooms with free Wi-Fi are top amenities at the Baymont Inn & Suites LaGrange. The two-story 54-room hotel features free Wi-Fi flat-panel TVs with cable microwaves mini-fridges coffeemakers and work desks in every room and n-smoking rooms are available. 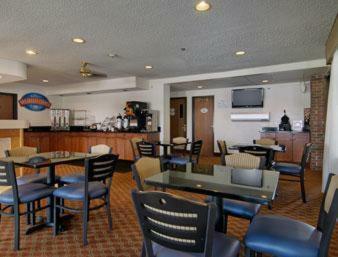 Read your free newspaper while fueling up at the free continental breakfast featuring hot waffles. Guests can go for a swim in the heated indoor pool beneath a vaulted wood ceiling chill out in the hot tub or work up a sweat in the on-site fitness center. 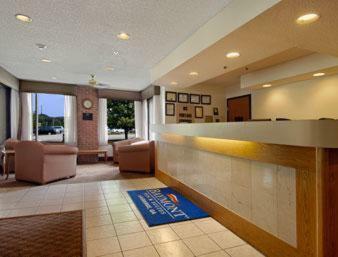 The 24-hour lobby has a business center. Parking is free and pets are allowed for an extra charge. 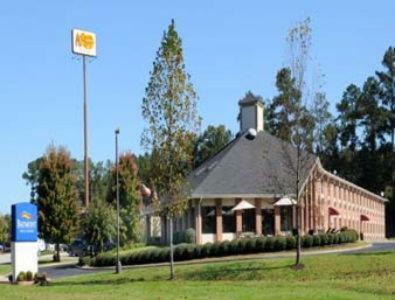 The hotel is located at I-85 four miles from the heart of LaGrange where guests can visit La Grange Art Museum. Tour the grounds and buildings at the Little White House Franklin Roosevelt's presidential home away from Washington 30 miles away. Highlands Country Club and golf course is less than 15 minutes away. Callaway Gardens is a half-hour drive. La Grange-Callaway Airport is eight miles from the hotel; Hartsfield-Jackson Atlanta International Airport is 56 miles away. 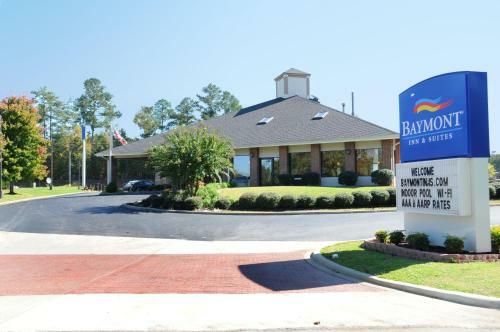 Add Baymont By Wyndham Lagrange to your free online travel itinerary.